It's well known that Spain is against Catalonia's independence. But there are three important voices within Catalonia who also support finding a solution within Spain. These are Pere Navarro, the head of the Catalan Socialist Party, Josep Antoni Duran i Lleida, the leader of Unió Democràtica, one of the two parties in Catalonia's CiU coalition, which currently holds the majority position in the Catalan Parliament and thus, the Catalan Presidency, and Alícia Sánchez-Camacho, the head of the Catalan branch of the People's Party (currently governing in Spain). The three have very distinct political profiles, but they all believe, or make believe, that there is room for negotiation in Madrid. Navarro believes he can convince the Spanish socialists to support changes to the Spanish Constitution toward federalism, Duran i Lleida believes he can continue CiU's previous policy of accommodation in order to extract small concessions to Catalan singularity over time, and Sánchez-Camacho believes she can convince her colleagues—who control the central government—to not kill the goose that lays the golden eggs. Their credibility depends exclusively on their supposed influence over their contacts in Madrid, whether these be in the opposition (Navarro), in business (Duran i Lleida), or in the ruling party (Sánchez-Camacho). Because, as Jordi Casanova explained it so well on the Progrés Real/ Progreso Real / True Progress website on Monday, there was this idea that the problems between Spain and Catalonia could be solved if only Spain could function as a true democracy. This week saw the third nail driven into the coffin of a belief in Spain's ability to recognize Catalonia's “singularity”. Last July Navarro unsuccessfully tried to convince the Spanish Socialists to support the holding of a (legal) referendum on Catalan independence. No go. Duran i Lleida suggested a "third track" a couple of weeks ago between secession and submission, only to have Spanish President Rajoy respond by saying he “didn't really know what a third track was”. But on Monday, the leader of the PP party in Catalonia, Sánchez-Camacho went to Madrid still believing that she could get them to see reason. Catalonia, she said, was happy to support other autonomous communities in Spain, but should not be penalized for earning more. To get an idea of how the current system works, imagine that you earn $50,000 but your neighbor earns only $20,000. After taxes and redistribution, you end up with $25,000 but your neighbor gets $35,000. Sánchez-Camacho's proposal was simply that instead of falling from #4 to #10 in GDP ranking after distribution as it does currently, Catalonia should maintain its same position, even as it continues to contribute. The PP's reaction was almost immediate, disavowing any special financing system for Catalonia, and insisting on “solidarity” among all of Spain's autonomous communities. Sánchez-Camacho's own party hung her out to dry. Little wonder that the latest poll results show Sánchez-Camacho getting a 2.02 out of 10 for her part in the recent General Policy Debates in Parliament, 65% said they didn't agree with anything she said, and most seriously, only 2.8% answered that they planned to vote for her and her party in the next elections. The majority of those in favor of independence have not always been in favor, but rather have evolved toward it. It's not the political model that they aspire to, it's what they have accepted because they have had to discard all other options. Many believe, at the same time, that other political options would be more beneficial to Catalonia, they simply don't believe these are feasible. The question is not, from my point of view, whether autonomous communities, federalism, confederation... The basic question for me is the assumption of Spain as a plurinational reality and the consequences that are derived from it. And it's clear that a majority of Spaniards considers Spain to be "uni-national" and wishes for Spain to be organized according to this principle. That is why the debate is not focused only, or I would say, principally, on the benefits of these models, but rather on their feasibility. Because, to what extent would the majority will of the Spanish people have to be violated in order for them to accept what most Catalans want? And even if it were possible to violate their will in this way, would it be a good idea? Is independence the only solution? Let me flip the question around. Faced with the degree of support that independence enjoys among the Catalan people, is the majority of the Spanish people ready to accept itself as a plurinational country as a last ditch effort to stay united? I believe this is the question that will decide the issue. It's now more clear than ever that the most conciliatory voices in Catalonia have no leverage whatsoever in Madrid. 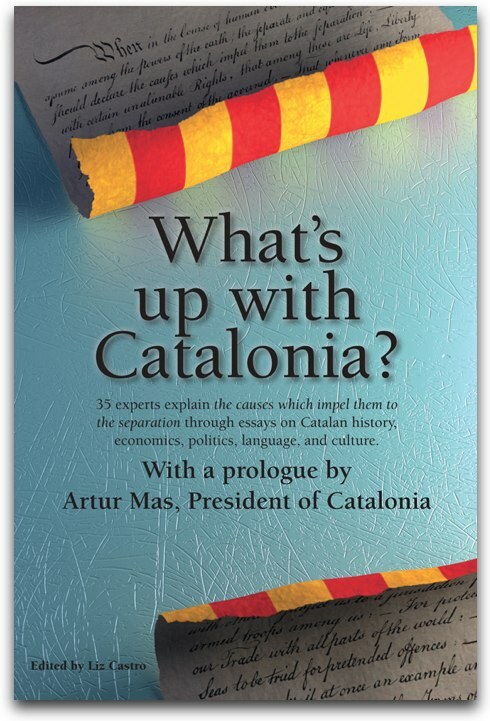 They will probably continue tilting at windmills, but Catalonia is moving on.